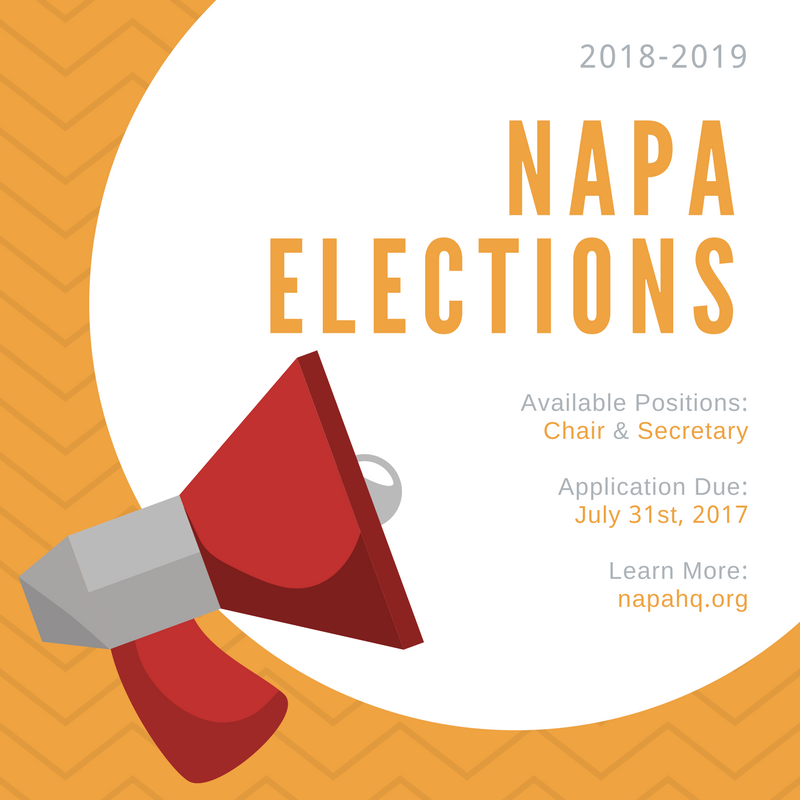 The application process for NAPA Board elections has begun! Available positions for the 2018-19 term are the Chair and Secretary. 1. Vita/resume of both professional and fraternal experiences. 2. Statement (maximum 250 words) on motivations for running for a NAPA Board position. Application deadline: July 31st, 2017. Learn more about the responsibilities of the NAPA Chair and Secretary! As Chair, you work closely with the Executive Board on strategic planning of NAPA and the advancement of the AAGLO fraternal movement. The Chair represents NAPA externally and oversees the Board and a few Officers directly. A successful Chair will maintain strong communications with the Vice Chair, Secretary, Officers, our membership organizations, and other stakeholders. 3+ years in the NAPA-affiliated organization. Alumni status in member organization. Prior NAPA board appointment and service. 4+ years of volunteer board experience on National Board and/or related nonprofit and community organization. As Secretary, you work closely with the Executive Board on strategic planning of NAPA and the advancement of the AAGLO fraternal movement. A successful Secretary will maintain strong communications with the Chair, Vice Chair, Officers, our membership organizations, and other stakeholders. 3+ years in the NAPA-affiliated organization. Alumni status in member organization.